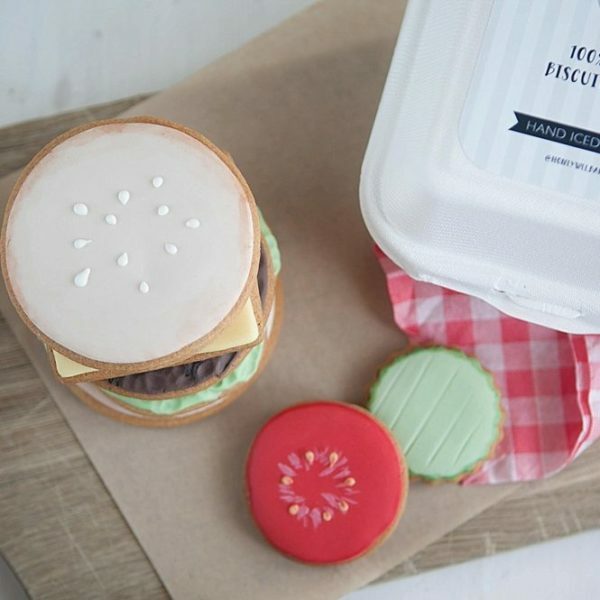 A delicious stack of biscuits make the perfect burger! 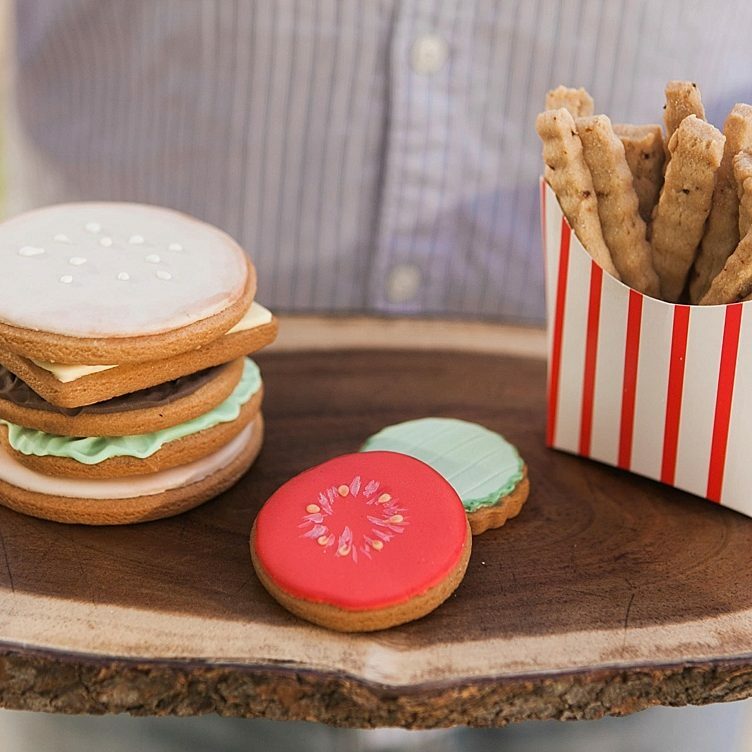 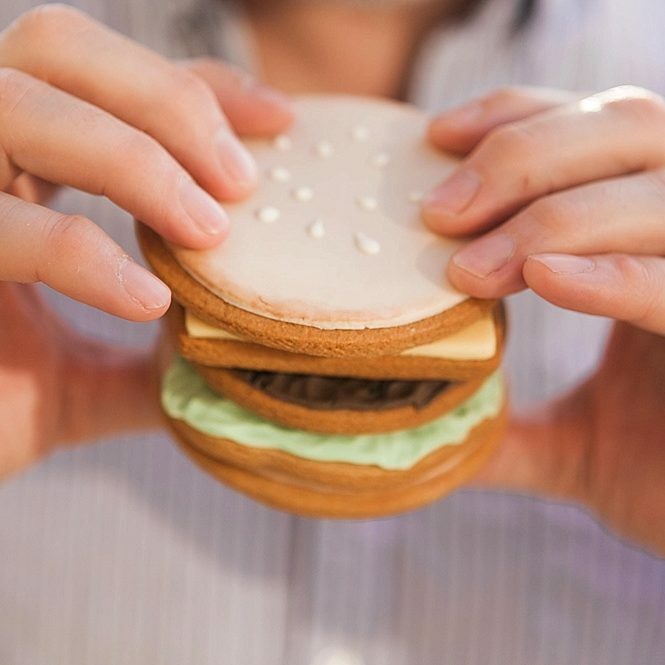 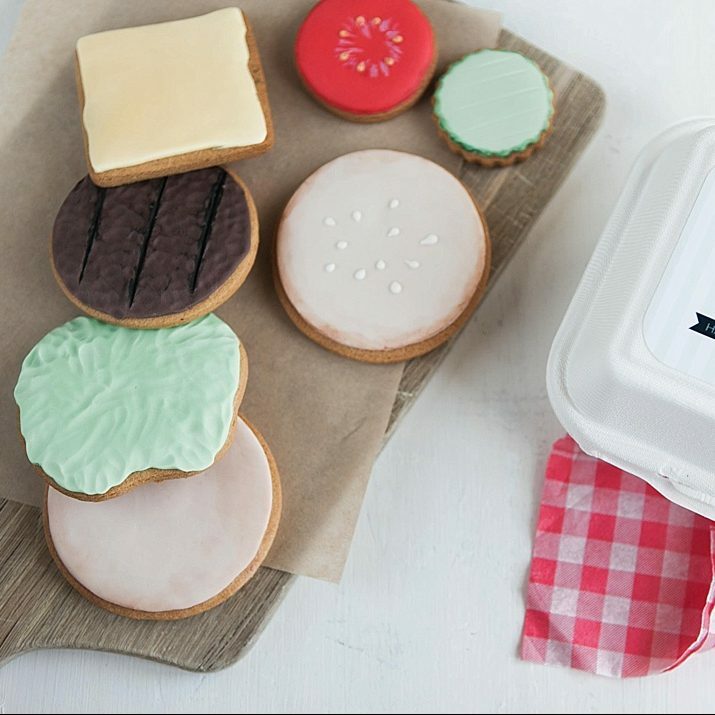 This fun gift set includes seven biscuits, each making up part of a biscuit burger. 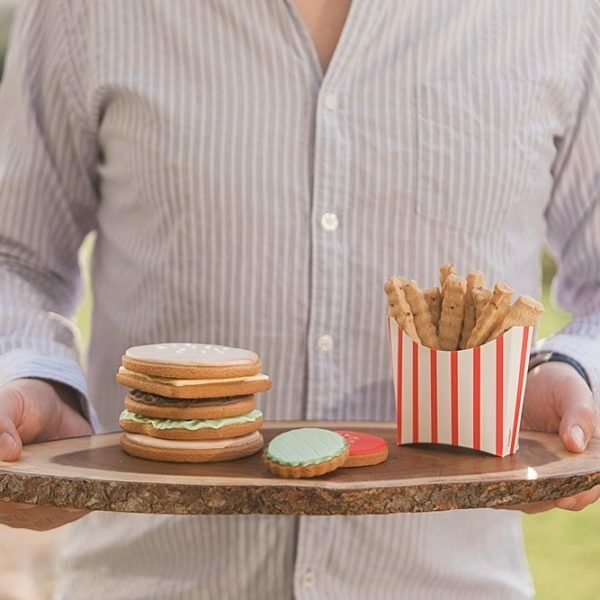 A perfect gift for Dad, and you can be sure he can’t burn it on the BBQ! 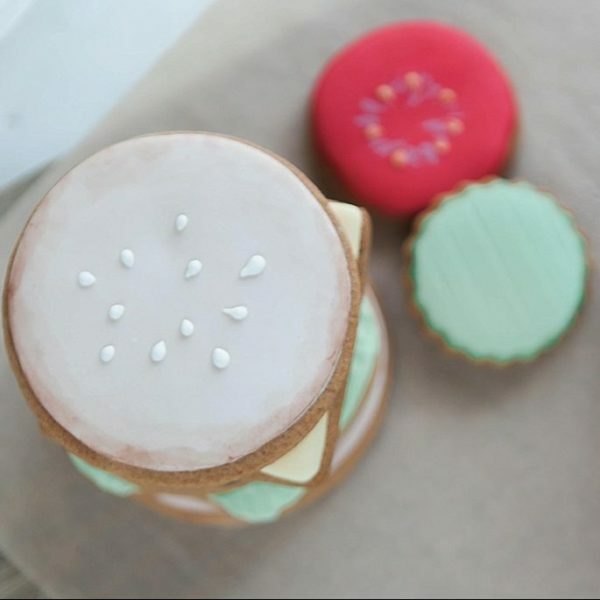 Each biscuit is handmade using the best local ingredients, before being individually hand iced. 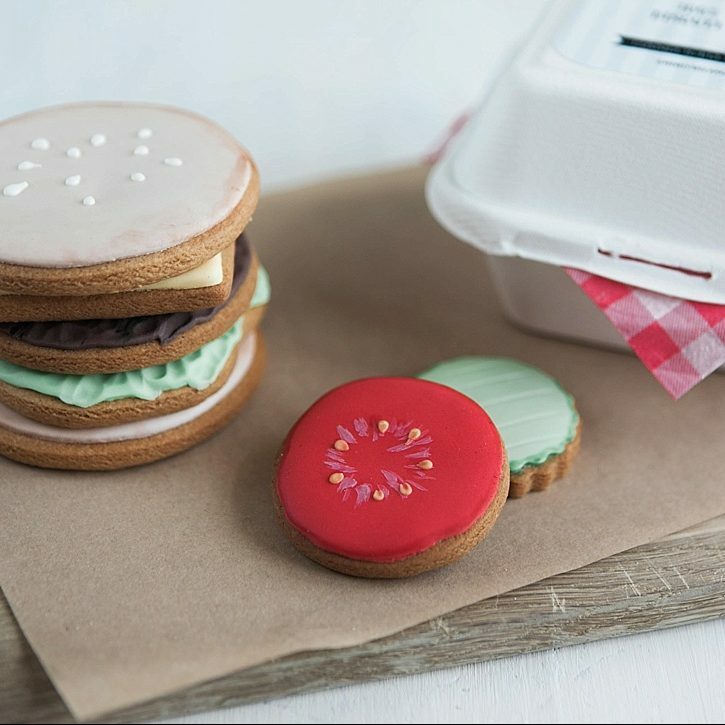 The biscuits are individually wrapped, and the carefully packed into a biodegradable burger box. You can also add fries – who doesn’t love a few fries with their burger. 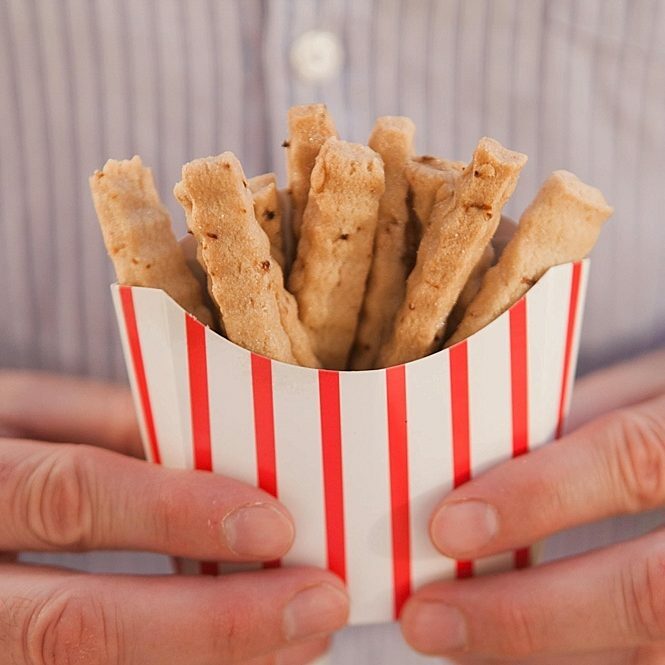 If you choose to add fries, you will receive 10 biscuit ‘chips’ served in a striped box.